Whenever a structure is built specifically to house a restaurant, you know its going to be special. Architecturally brilliant, Catalunya restaurant sits in a unique glass-encased dome floating atop the waters of Marina Bay with a 360-degree panoramic view of the city and Marina Bay Sands. While the outside looks like a spaceship, the inside of the restaurant with its lighting, tiles, wooden flooring and design gives it a nice warm Spanish feel. With a large 360-degree bar that greets you as you enter the restaurant, you know this place is serious about its drinks. The cocktail menu is innovative thanks to their award winning mixologist. Unfortunately we did not feel very innovative that night and went ahead with the Catalunya Sangria which I must add turned out to be a great decision. On the menu, they share the list of ingredients for every cocktail and for the Sangria it listed the following ingredients; lemonade, sugar, orange, martini rosso, bacardi superior and protocolo red wine. 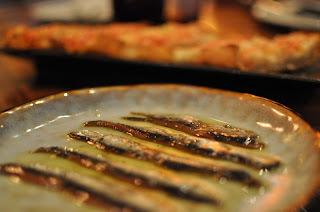 As a start, we had the tomato on bread and got a serving of Cantabrian anchovies to eat with it. This salty sweet combination was simple but good and really whet our appetites. 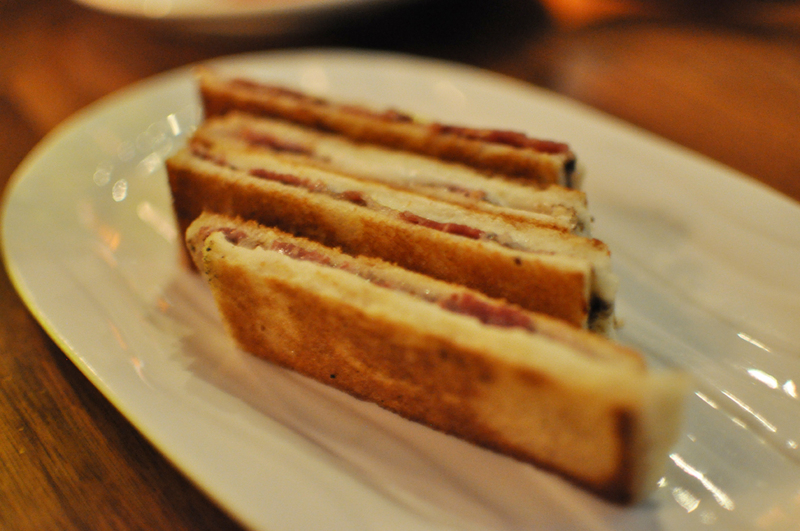 Next we had the bikini, a crustless ham, cheese and truffle sandwich. Oh wow, I know bikinis look good but I never know they tasted this good! The saltiness of the Jamon and Spanish cheese paired with the rich umami taste of the truffle spread was heavenly. If only I could have this every day for breakfast. The last of our tapas was the tuna tomato salad. 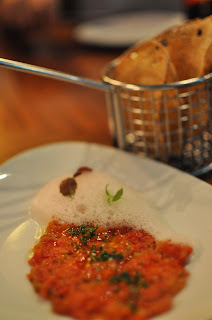 The tuna and tomato confit was really fresh and it was nicely finished with olive oil and lemon juice. 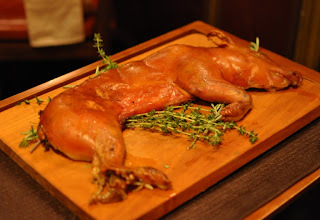 For the main, we shared a traditional Spanish suckling pig. The suckling pig is roasted Segovian style and served on top a wooden chopping board. Each order is half a suckling pig and after presenting the suckling pig to us, the waiter proceeds to cut the pig up with a plate. This goes to show how crispy the skin and how tender the meat are that the bluntness of a plate is sufficient. The pig is served on top of thyme herbs. You get maximum amount of crispy skin with the whole half pig being served. Remember to go for the cheeks, ears and the trotters! Although delicious, it is a struggle for 2 people to finish this dish. As a place to impress, this place has to ranked up there with its spectacular views and good food yet the price is not as high as some of the fine dining restaurants across the Marina Bay. 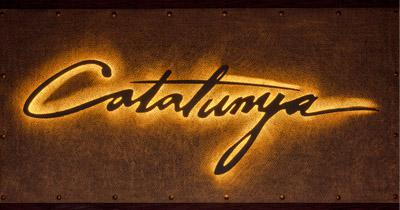 I know I’ll be back to impress my stomach with more of their Tapas and cocktails.